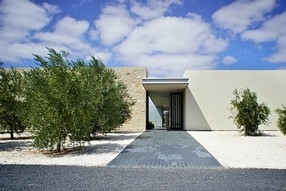 Our most popular cellar door lunch is returns this year with an extra Sunday date added due to popular demand! Join us for our annual Italy vs Australia taste off as we pour Italy's new release 2015 Primo & Co The Tuscan alongside its McLaren Vale twin, 2015 Primo Estate Il Briccone Shiraz Sangiovese. Two great Shiraz Sangiovese blends, both made by our very own Joe Grilli, but from opposite corners of the globe. Which will get your vote? Invite your friends to share the fun at this long relaxed lunch in McLaren Vale's stunning wine country. Which wine will you vote to be this year's winner? Please notify us at the time of booking if you require gluten free pizza bases and we will be happy to provide them, we cannot guarantee availability if we are not notified in advance. Alcohol free 'Drivers tickets' for non-drinkers and children under 18 can be purchased for $55 by calling 08 8323 6800. No refunds less than 7 days prior to the event. Congratulations to Joe & Georgina on their Engagement! The many Amici Primo who have known Joe over the 37 years since Primo Estate opened will be delighted to hear the announcement of his engagement to the lovely Georgina De Battista. We wish them all the best for their new life together. Primo Estate is honoured to be named winner of the Landscape and Architecture Category of the South of Australian Best of Wine Tourism Awards. We will now go on to represent Australia in the International awards with a final winner from each Great Wine Capital to be announced in Porto, Portugal in November. The Chair of the South Australian Judging Panel, Karen Raffen said, 'The winners represent the best of SA’s wine tourism businesses – they’re outstanding in their field and are leading in their respective award categories. Mark your diaries Sydneysiders: cellar door manager Mark and the Primo team are bringing our McLaren Vale cellar door experience to the heart of Sydney! Following the huge success of last year's event we will once again be running three days of JOSEPH Experience tastings and a Primo Estate tasting bar at Three Blue Ducks, the exciting new venue located in the space that was formerly Kitchen by Mike in Rosebery. Featuring our classic JOSEPH Experience tasting plus all your favourite Primo Estate wines there will be some very special offers on the day allowing you to stock up for Christmas. 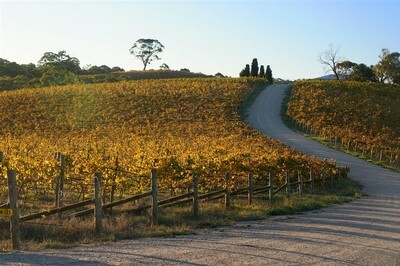 Come down to say hello, taste the new vintages, pick up some wine and make a day of it. We can't wait to see you there. Mark your diaries Melbournites: cellar door manager Mark and the cellar door crew are bringing our McLaren Vale cellar door experience to the heart of Melbourne! Following the huge success of last year's sell-out event we will once again be running three days of JOSEPH Experience tastings and a Primo Estate tasting bar at the fabulous 1000£bend venue in the heart of Melbourne. Featuring our classic JOSEPH Experience tasting plus all your favourite Primo Estate wines there will be some very special offers on the day allowing you to stock up for Christmas. Come down to say hello, taste the new vintages, pick up some wine and make a day of it. We can't wait to see you there. I am saddened to share with you the passing of Joe's father, Primo Grilli. From humble beginnings in Italy's Le Marche region, Primo set off on a great adventure to build a new life in Australia. His second great act of optimism was investing all he had in a winery for his 19 year old son Joe, who was studying wine making at Roseworthy College. From the company he started as a grape grower, Primo lived to see bottles of wine bearing his name spread across Australia and around the world - an astonishing legacy. I hope that you will join us in raising a glass to the man who made Primo Estate possible and celebrating a life well lived. 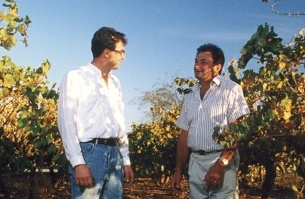 Joe Grilli (left) and his father Primo Grilli, among their vines in 1990. Mark your diaries Brisbane Amici: cellar door manager Mark and the cellar door crew are bringing our McLaren Vale cellar door experience to the heart of New Farm! Following the huge success of last year's event we will once again be running three days of JOSEPH Experience tastings and a Primo Estate tasting bar at the stunning Brisbane Power House. Featuring our classic JOSEPH Experience tasting plus all your favourite Primo Estate wines there will be some very special offers on the day allowing you to stock up for Christmas. Come down to say hello, taste the new vintages, pick up some wine and make a day of it. We can't wait to see you there. The newly bottled 2016 degorgement of NV JOSEPH Sparkling Red has finally arrived, months after we sold out of the previous bottling. NEW 2016 Primo Estate Merlesco Merlot Has Arrived! Merlesco is a deliciously uncomplicated, juicy and fresh ‘little Merlot’. Bursting with the aromas for fresh blackberry, blueberry and cherry fruit; this is a wine to be drunk young and fresh, the perfect summer red. Winemaker Joe Grilli recommends Merlesco is best served out of tumblers with an alfresco table of antipasto, pizza or pasta. The JOSEPH Sparkling Red has been Released! We protect your data, see terms and conditions here.